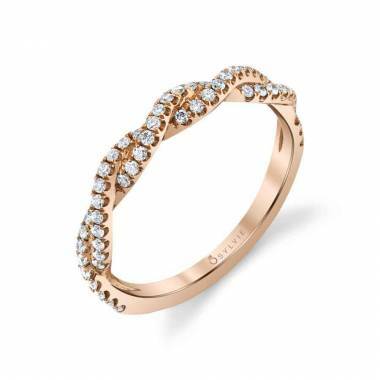 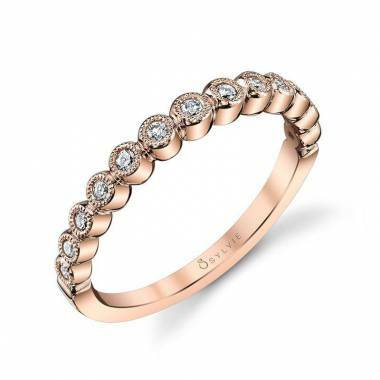 For a trendsetting and ultramodern style, this unique stackable wedding band in rose gold features individual and alternative shapes of squares and marquise channels, each containing a dazzling round brilliant diamond and framed with milgrain beaded accents. 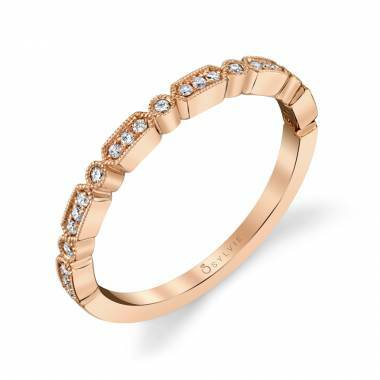 Worn with additional bands of different styles, colors, or stones, this rose gold wedding band will add a fresh and contemporary look to your stackable collection. 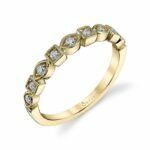 The total weight is 0.17 carats.